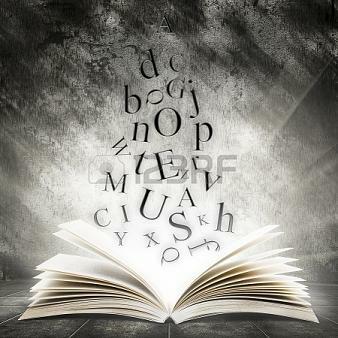 National Novel Writing Month began on November 1. How are you doing so far? I’ve put together a series of blog posts on the best way to plan your NaNo novel so you be much more likely to not only keep writing, hit the 50,000-word mark, but also end up with a finished novel at the end of the month. You may even find you need to do less of the heavy rewriting, if you get on a solid foundation before or during the first draft. I’ve been doing NaNo for about six years now. I’ve made every mistake there is. Do any of these sound familiar? Stared at a blank screen with no clue what happens next? Had a story that never ended,? Couldn’t finish a story? Wrote 50k then spent the next year fleshing it out, shocked when it ended up at 150k because it was way more than should be in one novel? Over the years I’ve found a system that works. It works so well, I don’t just use it for NaNo anymore. For the past three years, I send my NaNo novel to a publisher in December and had the book published. I love my NaNo planning and writing method so much, I use it for all of my books now, and have gotten contracts from a top publisher in my genre for the past five time. (In fact, I just got a contract on October 25 for the novel I wrote during the month of August using this method). Did I miss your biggest problem? Leave a comment on this posting and let me know what you find most challenging about NaNoWriMo? Writing a novel is damned difficult. You wouldn’t run a marathon without some training or guidance, and you shouldn’t think writing a book is going to be any easier the first few times out. I’ve written a few recent blog posts about how to avoid those problems, and I’ve created a set of planning worksheets to help you focus on what you need to write a great first draft in almost any genre. I’ve also written a full planning guide with details and tips on using my worksheets and methods. Stay tuned for tips, tricks and motivation boosters during November! 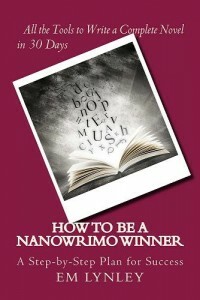 Check out How to Be a NaNoWriMo Winner—A Step-by-step Plan for Success at Amazon, Smashwords, ARe/OmniLit or direct from the author.